The National Institute of Oceanography at Vizag has commissioned the AP Pollution Control Board to conduct a fresh study to find out the impact on marine fauna and flora due to the discharge of industrial effluents of pharma, chemical and textile companies of Vizag, Srikakulam, Vizianagaram and East Godavari into the sea and along the coast. Most of the companies discharge the treated effluents into the sea with pipelines laid into the sea up to 2 kilometres offshore. The purpose of the study is also to check whether the fish population is migrating away from these discharge points. If the fish population depletes or migrates, it would create an adverse socio-economic impact on the fishing community. Saudi Arabia traditionally has been India’s top oil source but in the April-October period of 2017-18, Iraq dethroned it, supplying 25.8 million tonnes (MT) of oil. Officially known as the Kingdom of Saudi Arabia, the country of Saudi Arabia is the world’s number one oil exporter and the country with the largest amount of oil reserves. Formed in 1932, the country was responsible for 17% of global oil exports in 2015, totaling $133.3 billion in value. The country is located on the Arab peninsula and is comparable in size to Alaska. The massive, transcontinental country of Russia is the world’s second-largest oil exporter. In 2015, Russia’s oil exports accounted for 11% of global oil exports, exceeding a value of $86 billion. As a size comparison, Russia is twice as large as the entire United States. Initially formed in 1932, Iraq is the world’s third-largest exporter of oil. In 2015, Iraq exported $52.2 billion worth of the commodity, which accounts for 6.6% of global exports. Located in the Middle East, Iraq is comparable in size to California. Number four on the list is the United Arab Emirates (UAE). Located on the Arabian peninsula, the UAE is approximately the size South Carolina. In 2015, the UAE exported 6.5% of the world’s total oil exports, accounting for $51.2 billion. The northernmost nation in North America, Canada is the world’s fifth-largest exporter of oil. In 2015, the country exported $50.2 billion worth of the commodity, or 6.4%. Due to the size of the Athabasca oil sands, it is estimated that Canada has approximately 13% of the world’s oil reserves. These reserve levels are only topped by Venezuela and Saudi Arabia. TheAndhra Pradesh Cabinet approved a scheme to provide a pension of Rs 1500 to transgenders above 18 years of age in the state. Under this scheme the transgenders will be provided ration cards, plots and scholarships, also skill development for financial stability. 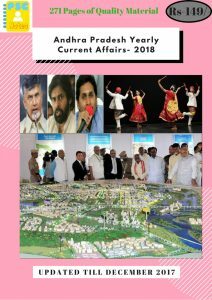 After Kerala and Odisha, Andhra Pradesh becomes the next state to sanction pension scheme for the transgender community. The Lok Sabhawas informed that the national medical entrance exam, the NEET, and engineering entrance exam JEE might be conducted twice a year to give an opportunity to the students to bring out their best performance. The Centre is setting up a National Testing Agency (NTA), an autonomous and self-sustained premier testing organisation, to conduct the entrance exams for the higher educational institutions. According to a statement from union government, the establishment of NTA will benefit about 40 lakh students appearing in various entrance examinations. 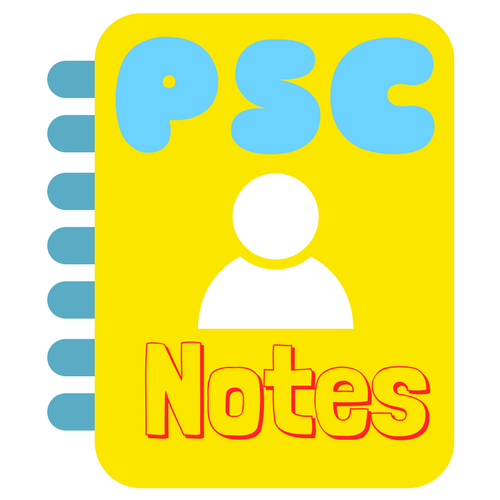 It will relieve CBSE, AICTE and other agencies from the responsibility of conducting these entrance examinations, and also bring in high reliability, standardized difficulty level for assessing the aptitude, intelligence and problem-solving abilities of the students. 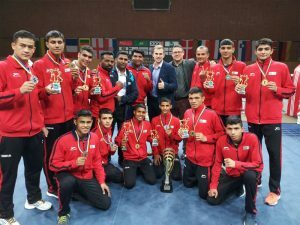 Indian junior boxers clinched total 11 Medals (six gold, four silver and a bronze medal) at the fifth International Sven Lange Memorial Tournament to finish as overall champions in the German city of Schwerin. Bhavesh Kattamani (52kg) picked up the best boxer trophy along with his gold medal. In the three-day tournament, the other gold-medallists for India were Vijeydeep (63kg), Akshay (60kg), Ish Pannu (70kg), Lakshay Chahar (80kg) and Vinit (75kg). India was named the tournament’s best team. India currently ranks 60th out of 127 countries on the Global Innovation Index (GII)2017 as compared to 66th rank on GII 2016. The list was topped by Switzerland. NITI Aayog, Department of Industrial Policy & Promotion (DIPP) and Confederation of Indian Industry (CII) together launched a mega initiative “India Innovation Index”. This Index will rank states on Innovations through country’s first online innovation index portal that will capture data on innovation from all Indian states on innovation and regularly update it in real time. Goa celebrated its 56th Liberation Day. The state was liberated on 19th December in 1961 from Portuguese control after almost 450 years of colonial rule.